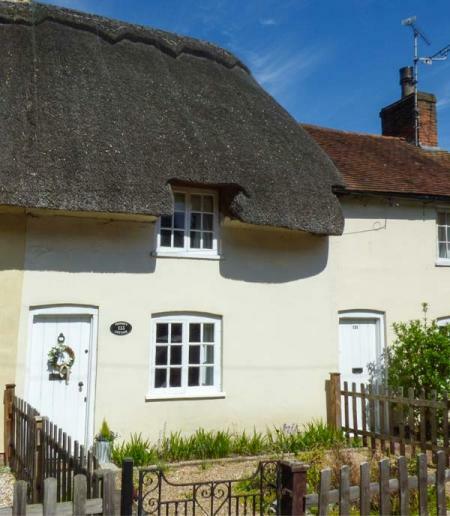 Three historic buildings set in one of the best-preserved parts of old Romsey. 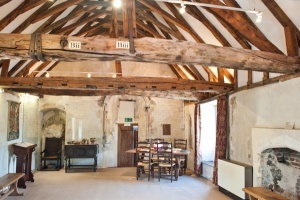 King John's House is an early medieval half-timbered building dating to the 13th century. Many of the original architectural details can still be seen, including an unusual bone floor. Next door Tudor Cottage is a late Tudor or early Jacobean building which has been restored on the upper floor to its original condition. The final building in this 'time capsule' of historic properties in a Victorian and Edwardian museum, showcasing life in Romsey in that period. 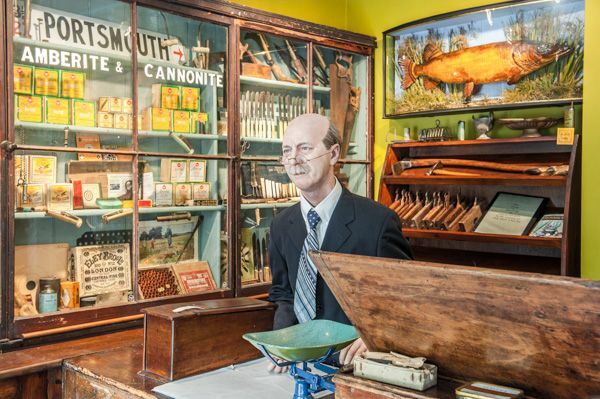 The upper floor has been restored as the gunshop it once was, using original fittings and display items. This intriguing 13th-century house was for many years thought to be a hunting lodge built on the orders of King John. That story later proved untrue, but it does not lessen the historic interest of this excellent medieval dwelling. In 1927 Mrs Mabel Moody, owner of a house on Church Street in Romsey, invited a local antiquarian named Walter Andrews to investigate the history of her house. Mr Andrews, with the aid of architect TD Atkinson, discovered a multitude of historic features hidden behind centuries of plaster and modifications to the structure of the building. These features led them to date the property to the first half of the 13th century. 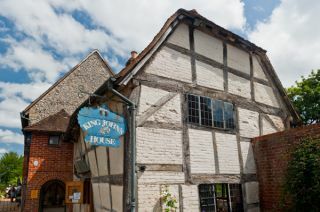 Documentary evidence exists to show that King John ordered a hunting lodge to be built in Romsey around the year 1206. John's daughter, Princess Joanna, lived at the lodge while she was a pupil at the school run by Romsey Abbey, only a short stroll away. John's son, Henry III, later granted the lodge to the Abbess of Romsey. Given the age of the house on Church Street, it is perhaps not too surprising that it was, with great excitement, identified as King John's Hunting Lodge. 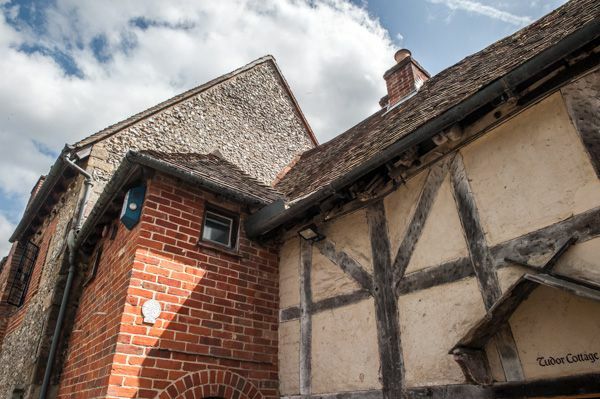 Unfortunately, a later investigation by architectural historians, including tree-ring dating, revealed that the house was probably not built until the mid-13th century, roughly 40 years after King John's death in 1216. But by the time the actual date of the house was established, its name had become entrenched as King John's Hunting Lodge, which is what it remains today. So what was the house on Church Street if it was not King John's hunting lodge? Given the size and prominence of the house, it must have belonged to an important person. The west side, nearest the street, originally had an external stair encased within the porch. There were also several stone outbuildings, now sadly destroyed. These included a stable and separate kitchen, and the whole property may have had a curtain wall. Stone used to build the house comes from Chilmark in Wiltshire, and from the royal quarry at Quarr, on the Isle of Wight. The use of Quarr stone suggests a royal link, but there is no documentary evidence for such a link until we come to 1306. In that year Edward I visited Romsey with his court. Some members of the king's court must have stayed at King John's House, as the upstairs chamber shows considerable 14th-century graffiti on the walls, including a rather unflattering likeness of the king himself scratched into the plaster. There are several heraldic shields incised into the walls, probably with the point of a dagger. At some point over the next two centuries, the house passed into the ownership of the abbey, as when the abbey was dissolved in 1539 the house was included in its list of properties. John Foster, a chaplain and one of the last abbey stewards, bought the house along with other abbey property. He also married one of the former nuns. A metal plaque bearing Foster's coat of arms has been found outside the house and is now on display. 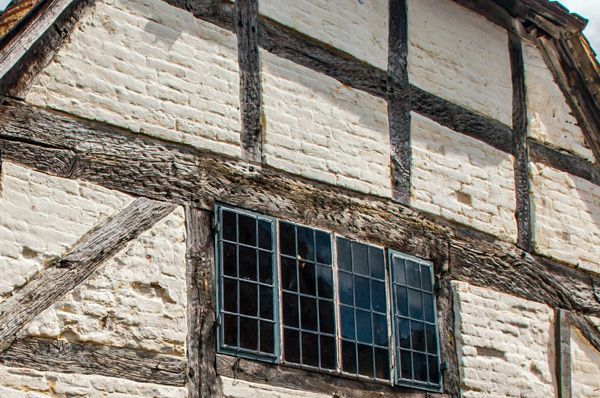 Foster, or one of his immediate successors as owner, pulled down the external stair and added Tudor Cottage, the attractive timber framed building we see today. Over the next few centuries, the house was subdivided and used for a variety of purposes. There is evidence of a workshop on site, with an unusual floor made of bones, probably to provide an early form of non-slip surface. The house was later used by a fellmonger, or dealer in skins. The house was later incorporated into a confused and overcrowded jumble of tenement buildings. The interior is now laid out to provide displays about the history of the house, with several architectural features exposed to show how the house was built and adapted over time. Of particular interest are the exposed bone flooring on the ground floor and the 14th-century graffiti on the upper floor. 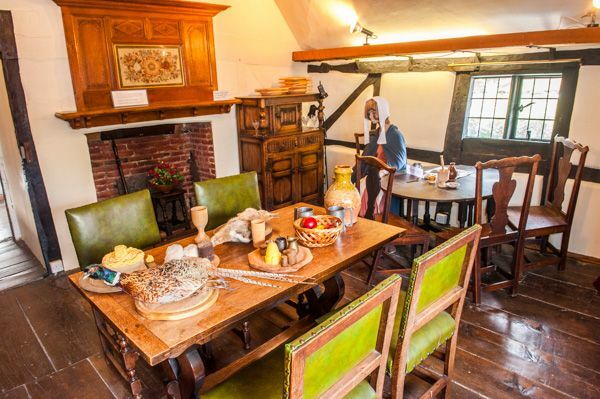 King John's House is linked to Tudor Cottage, where there is a display of local history, and tableau showing the house as it would have appeared at different times in its history. There is a popular tearoom on the ground floor, and the area behind the building has been restored as a period garden. All told, King John's House is a very enjoyable historic building, well presented, and is a definite must-see if you are visiting the nearby abbey.